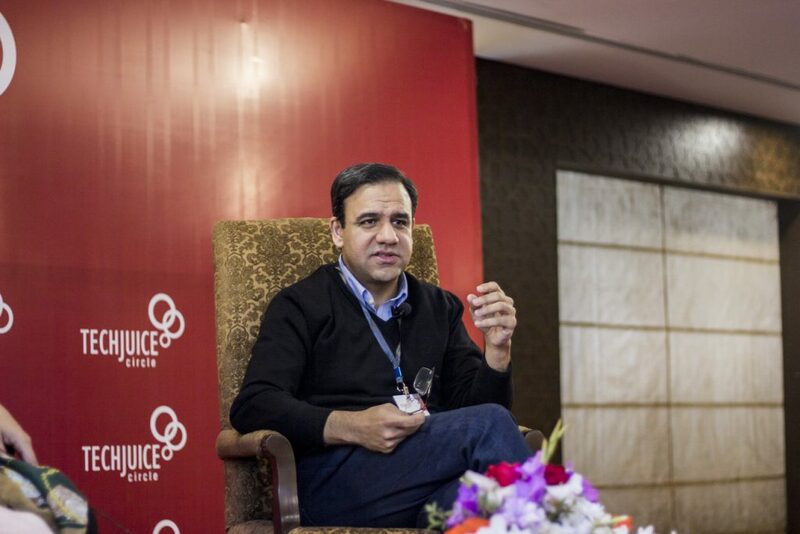 TechJuice > Technology > What is Dr. Umar Saif working on these days? Few people have achieved what Dr. Umar Saif has. From being on the list of MIT’s 35 young innovators to becoming the first Pakistani ever to receive the Google’s Faculty Research Award, his relentless passion for innovation has caused a ripple effect that has been felt by many. But since stepping down from his positions from PITB and ITU, many have wondered what has he been up to. During the fireside chat at Techjuice Circle, a networking event connecting startups and mentors, he shared details of his next endeavor. Interestingly, Dr. Umar Saif is working on not one but three different projects. While details of his commitments had emerged in form or another before, Dr. Saif was able to discuss them more openly at the event. Last month, we reported that Dr. Umar Saif had joined the Jang Group as their Chief Digital Officer. During his fireside chat at TechJuice Circle, Dr. Saif went into a little bit more detail about his responsibilities and the work he is hoping to do at Jang Group as their new CDO. Jang Media group is one of the biggest groups in Pakistan. One of the two biggest print and electronic media houses, Daily Jang Newspaper, and Geo Media Group are part of Jang Media Group. Working as Chief Digital Officer, Dr. Umar Saif hopes to help propel them further into the coveted digital media space, while also leveraging vast resources available at their disposals for his upcoming ventures concerned with pushing Pakistan’s startup industry further. With his upcoming Khudi ventures, Dr. Umar Saif hopes to become a transformative VC. He discussed his vision for the fund at TechJuice Circle by saying that he can’t see companies in Pakistan that are scaling to a valuation of billion dollars. Khudi venture would try to find and fund companies that have the potential of becoming Pakistan’s first unicorn. Dr. Saif did not disclose the exact amount currently backing the initiative though he did say that it was substantial. He also said that Khudi was going to be set up in Lahore and that all the paperwork had been completed. He will be working as the Chief Investment Officer of Khudi once it gets off the ground. Dr. Umar Saif also revealed that he was working on his own startup called SurveyAuto. The crowd got some serious Silicon Valley vibes when he said that the startup was currently working from a room in his house. There are seven people working on SurveyAuto and, according to Dr. Saif, the progress has exceeded his expectations. Nothing else was disclosed about the startup but judging by the name we think it might be a product designed around automation, a rapidly growing trend in the industry. The details about his expeditions are still scarce but we now have a much better idea as to what we can expect in the future. No one can deny Dr. Umar Saif’s role in altering the technological landscape in Pakistan and we are excited to see what he makes of these three ventures in the coming days.